The position tracking control of a missile electro-hydraulic servo Mechanism is studied. 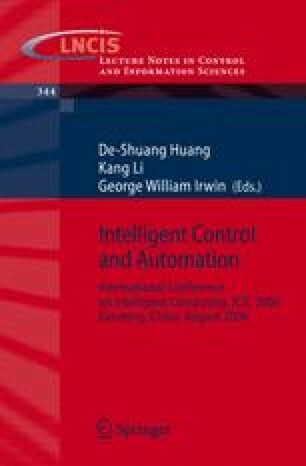 Since the dynamics of the system are highly nonlinear and have large extent of model uncertainties, such as big changes in parameters and external disturbance, a design method of sliding mode control (SMC) based on fuzzy neural network (FNN) is proposed. A FNN is introduced in conventional SMC, which uses the dynamical back propagation (BP) algorithm to ensure the existing condition of SMC. The chattering brought by sliding mode switch control can be effectively attenuated, without sacrificing the robustness of SMC. Simulation results verify the validity of the proposed approach.